Urgent care facilities and emergency rooms offer many of the same services. However, there are some major differences of urgent care vs. the ER, including the treatment time, cost, and type of care you can expect. Consider the following advice when you need to quickly decide the medical care you need. If you need care that cannot wait for your primary care provider, then an urgent care center or an emergency room are your best options. Urgent care clinics are designed to handle common medical conditions that are not life-threatening emergencies. Simple lab work or X-rays, injuries like minor sprains, or illnesses like strep throat, abdominal pain, and sinus infections are easily handled by most urgent care clinics. If your illness is serious enough to warrant immediate medical attention or is a matter of life and death, the emergency room is best option. Emergency departments are typically crowded, with the sickest and more seriously injured individuals given first priority. Lengthy wait times are common. For non-emergency situations, visiting an urgent care clinic is usually quicker vs. the ER, and waiting areas are often less crowded. Emergency rooms are open 24 hours a day. Though most urgent care facilities offer extended hours each day, emergency rooms may be the best option for care in the middle of the night. The care you receive at an ER is typically much more expensive than at a primary care or urgent care clinic. In fact, ER visits can be four times as expensive. Many insurance providers charge higher co-pays for emergency room treatment than for a walk-in urgent care visit. If you are in Arizona, North Carolina, or Texas, consider visiting a FastMed Urgent Care. We offer high-quality care that is personal, affordable, and available seven days per week. FastMed accepts most major insurance, including Medicare and Medicaid and offers a self-pay discount plan. Visits are convenient, with extended hours that make it easy to visit before school or after work. 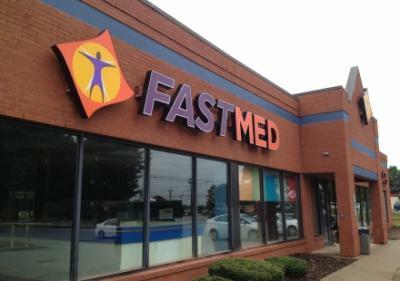 Click here to find a FastMed location near you today! “The professionals at the urgent care center are courteous, as well as speedy. The facility is very clean and inviting. I have been to the medical center a few times, and have sent friends there. No one’s ever been disappointed.” ~ Mary H.T.